Home Hockey Trade Rumors Will the Edmonton Oilers trade Ryan Nugent-Hopkins? Will the Edmonton Oilers trade Ryan Nugent-Hopkins for a top pairing defenceman. 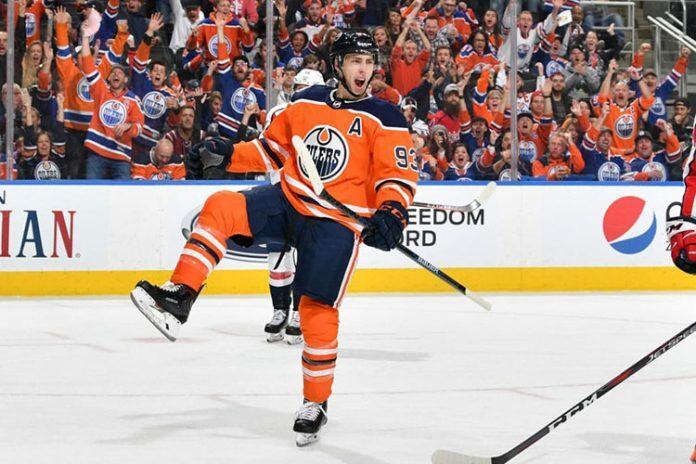 Edmonton Journal: The Edmonton Oilers have made some horrible mistakes in the past 3 years which include trading away d-men like Erik Gustafsson, Jeff Petry and Justin Schultz, fast and skilled forwards like Taylor Hall and Andrew Cogliano. Some of the same managers who had a hand in those moves are still employed by the Oilers. The Oilers will explore trading for a top pairing defenceman. If they want to make a trade, they will have to trade Ryan Nugent-Hopkins. Trade rumors have been going around for awhile that the Oilers are interested in Buffalo Sabres d-man Rasmus Ristolainen. What will the Toronto Maple Leafs do this off-season? Toronto Star: Damien Cox reports the Patrick Marleau contract is going to hurt the Toronto Maple Leafs next season and the only solution is likely to trade Nazem Kadri or William Nylander to free up cap space that will allow the Leafs to re-sign Kasperi Kapanen and Andreas Johnsson. Marleau has a total no-movement clause, and even if he retired, the cap hit remains for the final year of his contract in 2019-20. Ditto if the Leafs buy him out. Giving him that third year was how the Leafs convinced him to sign, so we can assume it is of substantial value to him. This off-season for the Leafs will be interesting. But count on one or two roster players being traded as the team just cannot keep all players under the salary cap.